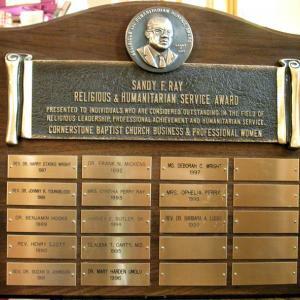 Add-a-Name plaques are utilized for ongoing recognition. Acknowledge your volunteers, employees and donors (presidents, administrators, doctors, nurses, librarians, principals, teachers, students, etc.) with unique, custom designs or stock items. 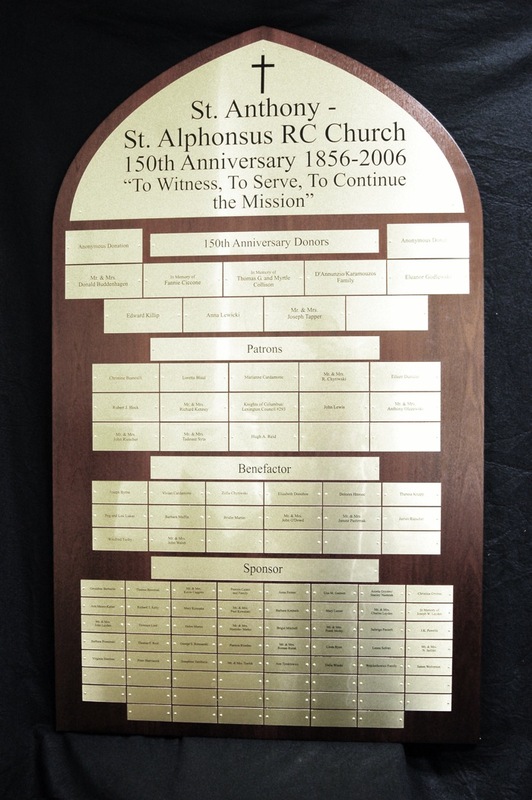 Available in a myriad of materials, sizes and shapes, the Add-a-Name Plaque will be created to meet your organization's requirements. 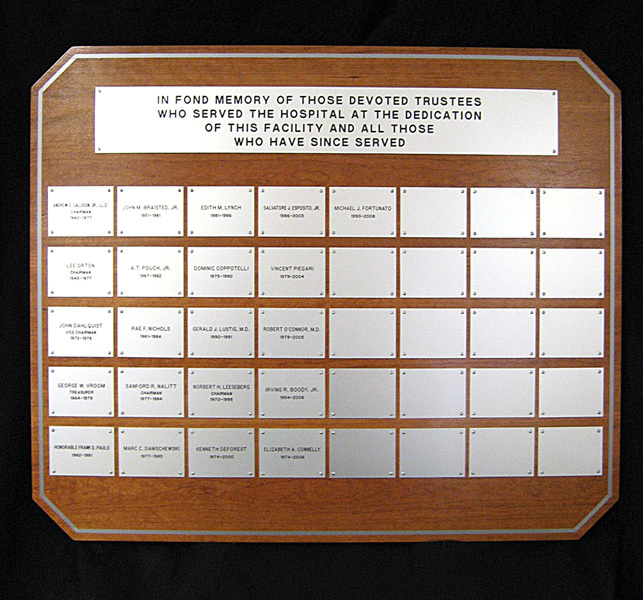 22” x 39” cast bronze plaque is predrilled to accommodate 90- 3/4" x 6” bronze namestrips in 6 columns of 15 plates each. 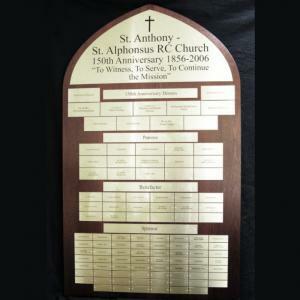 36" x 30" x 3/4"� cherry veneer background accommodates 40- 3"� x 4"� satin aluminum plates. 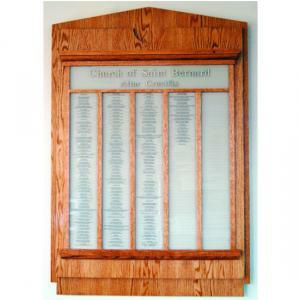 A multi level oak and walnut board accommodates satin brass plates and individual letters. 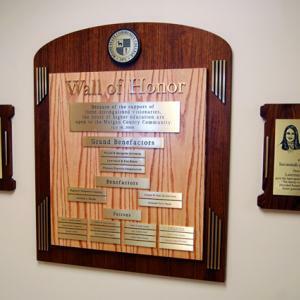 Etched oxidized brass recognition plaques flank the design. 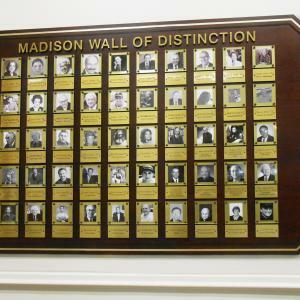 Individual brass letters title the acrylic framed photographs of distinguished alumni. 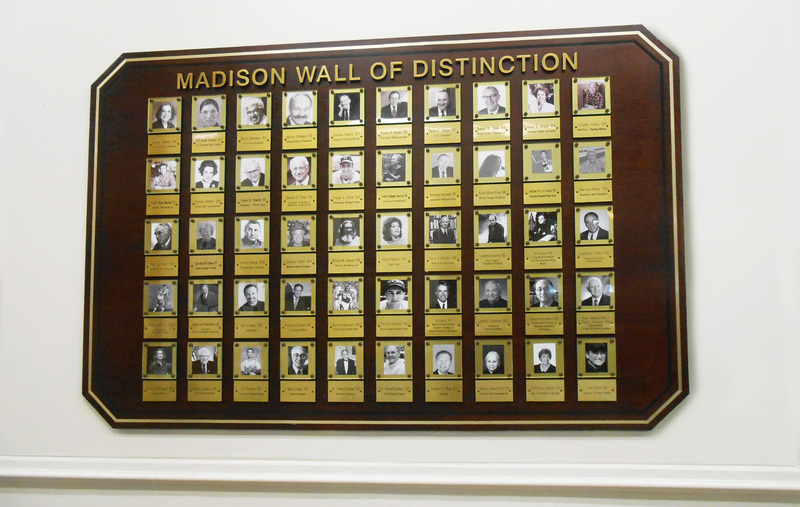 Engraved brass nameplates are mounted below each photograph. The mahogany background has printed borders. 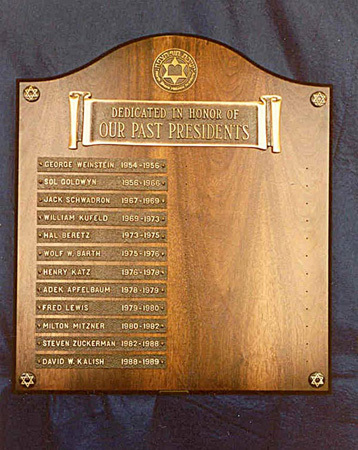 Oxidized brass plates mounted to Slate stone plaque. 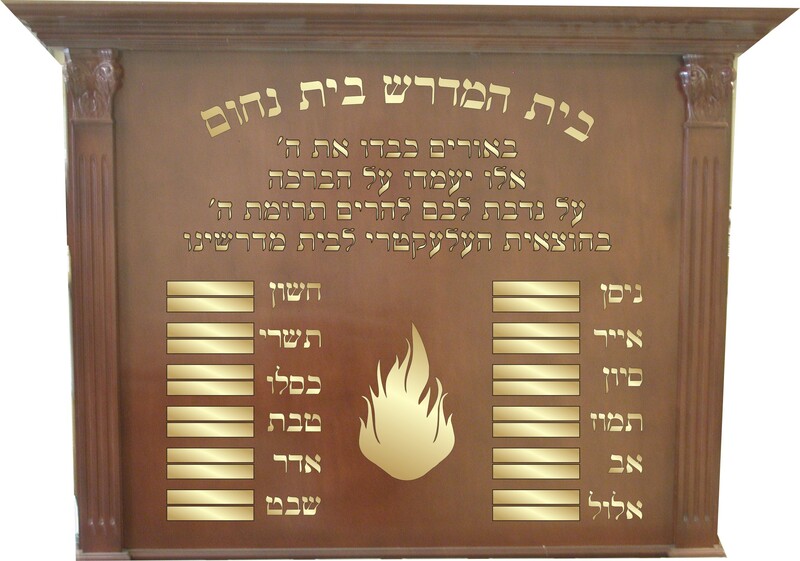 20" x 24" genuine walnut; bronze scroll; bas-relief emblem; accommodates 20 - 1 1/2" x 4 1/2" brass plates. 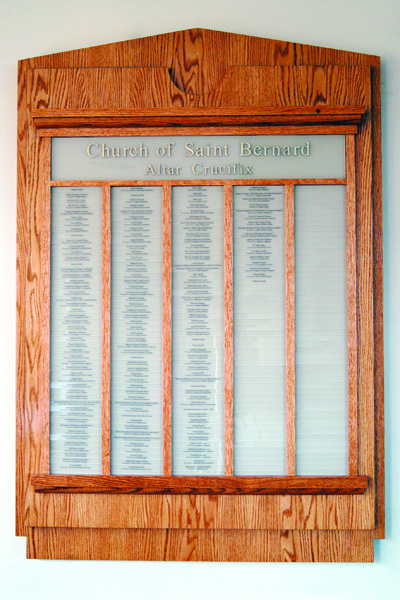 Screened, beige acrylic donor plates are mounted in oak columns affixed to a custom designed, multi-layered oak background. 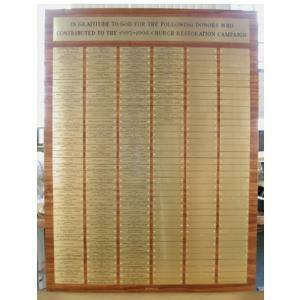 64" x 38" mahogany donor board accommodates 5 recognition levels on multiple size satin brass plates. 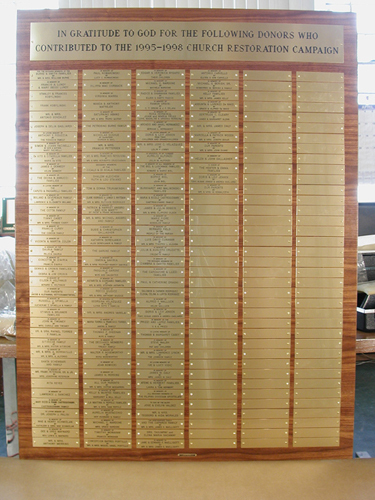 233 - 1" x 6" satin brass plates are mounted on a 47" x 41" walnut board. This design is available in multiple sizes and is customized for your organizations specific needs. 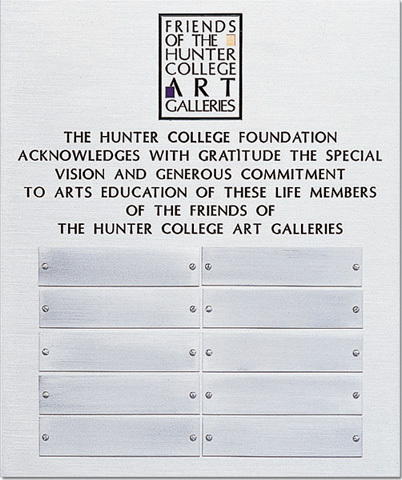 36 - 1 1/2" x 4 1/2" and 48 - 1 1/2" x 3 1/2" oxidized brass plates are mounted on 37" x 39" � Grey Cesarstone. Individual satin brass letters and logos title the plates. 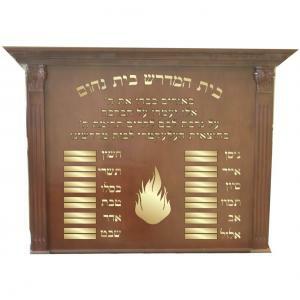 Walnut plaque with a curve top and a bronze scroll head plate accommodates cast bronze name strips. 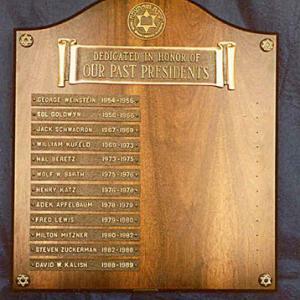 This Past President plaque is available in any size. 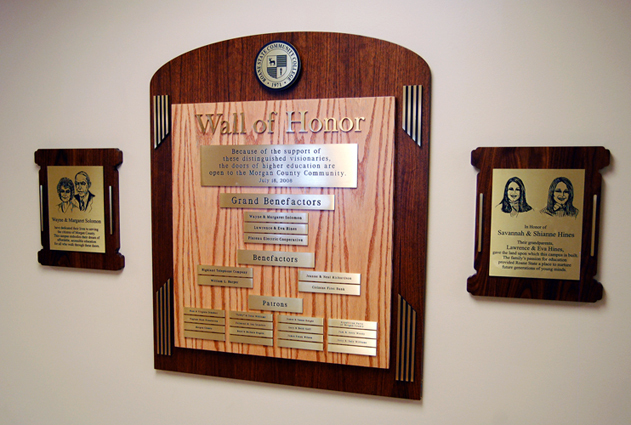 30" x 66" Jerusalem stone is the background for 108 - 1 1/2" x 8" Plexiglas plates mounted to cherry strips. 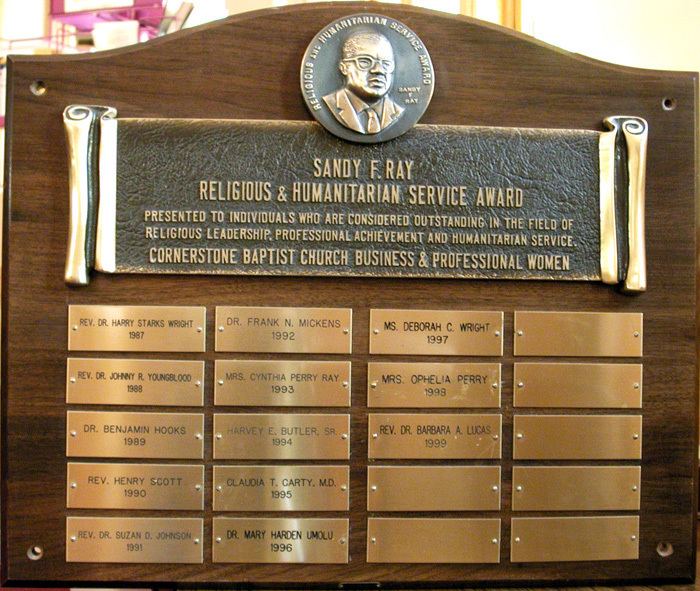 The title inscription is sandblasted and filled with dark brown paint. 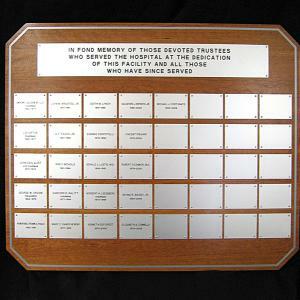 Contact us with your specific Add-a-Name plaque needs.